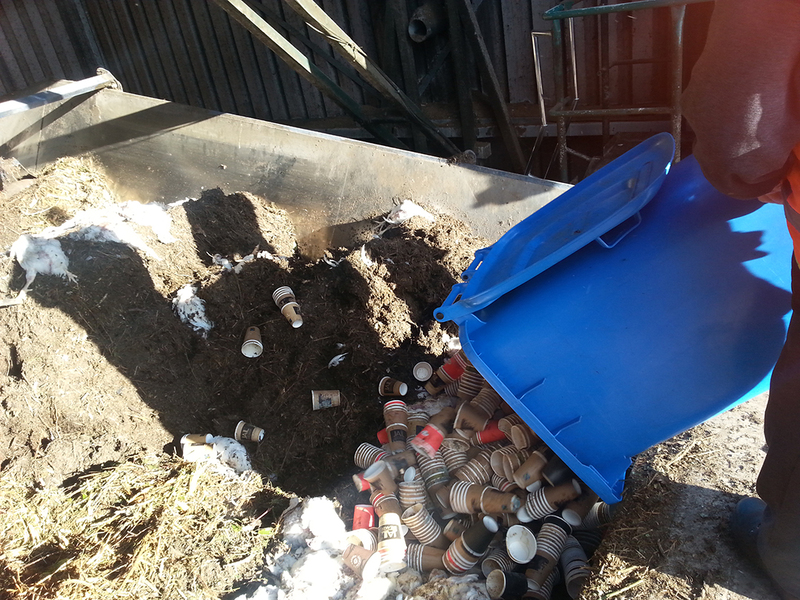 Coffee Cup Composting Trial Continuing in 2016! After the success of last year, our collection of disposable coffee cups (in the blue bins) for composting is continuing this year! The UC Sustainability Office will assess its progress at the end of the year. Last year we diverted over 15,000 cups from landfill with this service, a massive effort. And we reckon we could divert 250,000+ from landfill if we get this right. In 2017 we hope to expand this service to other forms of compostable packaging. 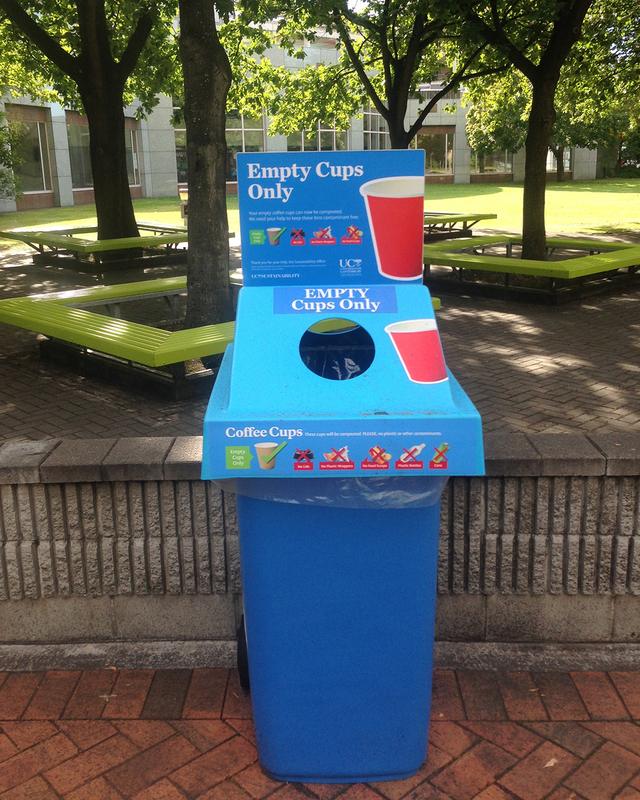 This would enable us to get rid of certain kinds of disposable plastics from campus! However, this will only be possible if the outcome of the trial is successful. And for this we need your help: success means contaminant free. So please use the Blue Bins but NOT throw anything else in these bins (including food waste, plastic lids, bottles, cans, or ANYTHING other than empty coffee cups!). 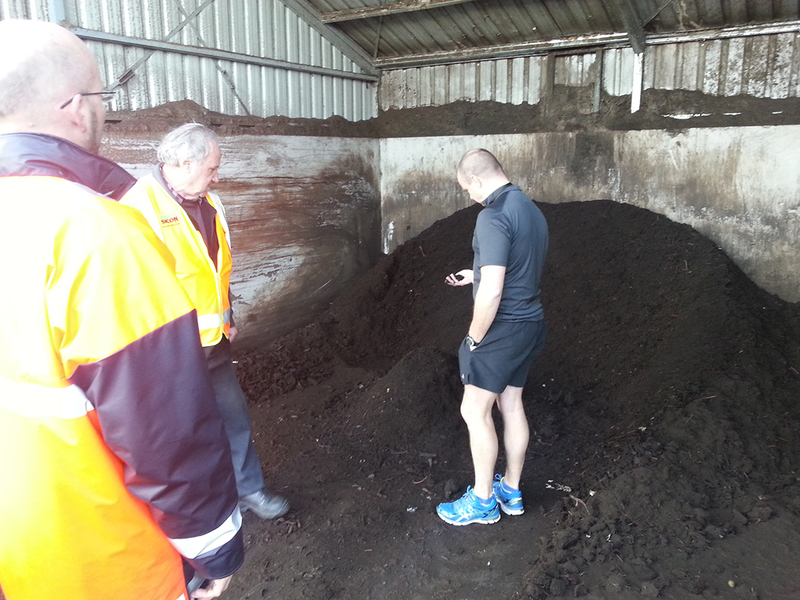 For more information on the blue bin trial click here. Which bin do I put my coffee cup in?! If you have ever taken the time to ask yourself this question, then thank you! 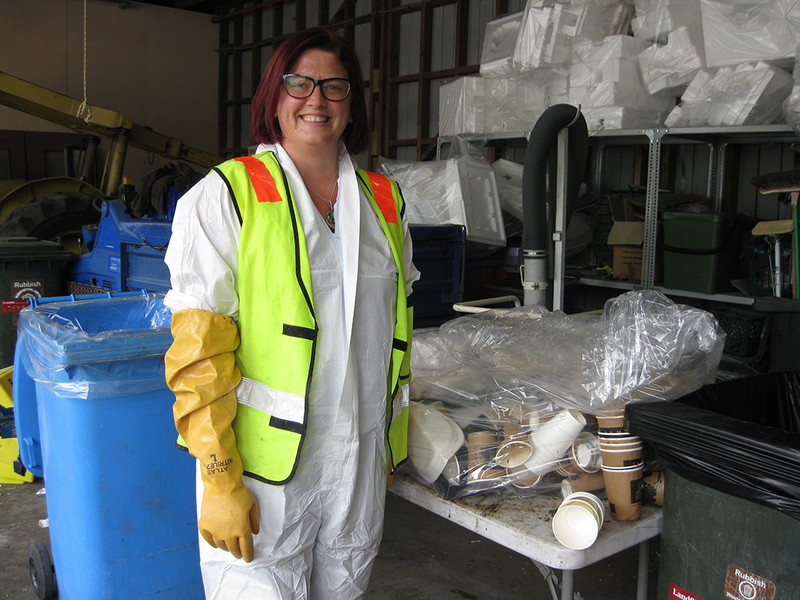 The UC Sustainability team work hard to ensure waste is disposed of correctly and reduced as much as possible. 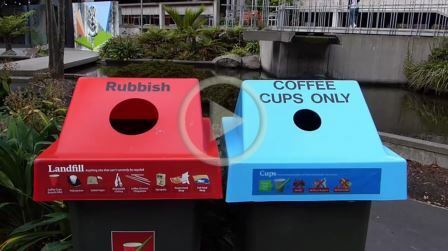 The labels on the bins around campus are currently out of date and will be updated soon, so please watch the short video linked above to familiarise yourself with the correct way to dispose of your coffee cups. If we all put in a small effort to do our bit we can create a more sustainable campus for everyone! Check out the UC Sustainability website for more ways you can help look after our beautiful campus.